As the “baby Hope case” has been back in the news recently, some people are asking questions about why the entire interrogation wasn’t recorded–apparently only the last bit was on tape. I believe all law enforcement questioning should be recorded. We have the technology to record questioning in the field and at the station and it should be done. Here’s why. First, the easy reason: we need an accurate recording of what was said and what wasn’t said. We spend a lot of time in court rehashing who said what when, arguing about whether it was really said, and which words were used. Recordings would accurately capture each statement. The more subtle but no less important reason is the occurrence of false confessions, which happen when suspects make admissions or confessions that are not accurate. Often the interrogation leading up to the admission explains why a false statement was made. For this reason, the entire interrogation should be recorded, from start to finish. It’s not okay to interrogate for ten hours and then record the last five minutes. False confessions are notoriously counterintuitive and hard to understand. I’ve heard countless prosecutors and cops and even seasoned defense attorneys say “it just doesn’t make sense, no one would confess to something they didn’t do.” This is wrong and we need to educate ourselves, prosecutors, judges and jurors about how false confessions happen. Frequently. Of the over 300 cases of wrongful convictions documented by The Innocence Project, about 25 percent include a false confession or false statement of guilt. I did not fully understand how a false confession could happen until I had a client (and several experts) walk me through, step by step, how it happened to him. In what was the most terrifying experience I’ve had as a public defender, I went to trial on a child molest allegation with a false confession defense. In the end, the jurors believed that the interrogation process had caused the client to parrot back words and events that didn’t actually happen. For CA lawyers, I focused quite a bit of argument on the jury instructions regarding confessions and adoptive admissions, and argued that the circumstances did not permit the client to deny the statement (see elements 3 and 4 of an adoptive admission). The key is that common police interrogation methods (like the Reid Technique, see a powerful critique here) relentlessly accuse and berate the suspect, lie about the state of the evidence and statements of others, and do not accept denials or assertions of innocence. The suspect is systematically convinced that admissions and confessions are the only permissible statements. As in the example of my own case experience schooling me, often one narrative story provides more compelling education than any seminar or statistic. Here are two examples of stories that explain powerfully how false confessions happen. This “unshakeable confidence of the police and prosecutors” seems to me to get to the heart of why false confessions happen in wrongful conviction cases tenaciously propelled by well-meaning cops. The second example comes from the great folks at This American Life, who created the 28 minute radio piece Confessions . 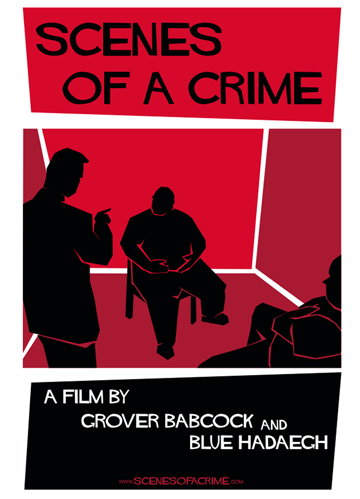 Both the film “Scenes of a Crime” and the radio piece “Confessions” illustrate how false confessions happen. Making an accurate record of the entire questioning process is why all interrogations need to be recorded. In California, we have a new law requiring that some interrogations of minors be recorded (SB 569 , which will take effect Jan. 1, 2014). The bill was put forward by Sen. Ted W. Lieu, who cited research showing that false confessions by children under 18 have led to an increase in wrongful convictions. Juveniles may be particularly vulnerable to falsely admitting guilt, according to a study led by Florida International University psychologist Lindsay C. Malloy, published in the American Psychological Association’s journal Law and Human Behavior.